During last week’s digest post, I talked about an existential issue of sorts. Do I get home sick or road weary? And the answer is generally no. This week I’ll switch gears a bit and talk about something both tactical and mundane (unless you make it otherwise). I’m talking about eating. Specifically, how does eating work when you’re in a constant state of transit and shuffle? So do you go out to eat all the time, or, like… what? Why am I mentioning this? Well, to frame my answer to the question as a slow traveler. Believe it or not, I got pretty tired of never making dinner like folks do. For one thing, the “traveling consultant 15” is way more of a thing than the freshman 15. You gain weight doing this. And secondly, it just becomes sort of depressingly decadent after a while, like eating fettuccine Alfredo for every meal or something. So when we adapted to the slow travel lifestyle, it was always with the idea that I really didn’t want to eat out all the time. Oh, don’t get me wrong — I still like a good meal at a good restaurant. But when we travel, we want to grocery shop, cook with local ingredients, and experience life as if we were locals. Let’s get down to brass tacks. How we eat depends almost entirely on length of stay. Let me break it down. 1 week or less. Typically this means a hotel or maybe a short-stay AirBNB. We almost certainly eat out or carry in every meal. 1 to 2 weeks. This is probably going to be an AirBNB. We’ll do some minimal grocery shopping, looking for botique-y local places where we can buy things that don’t require wholesale assembly from raw ingredients. This place in Ocean Beach, San Diego, for instance. 2+ weeks. Always an AirBNB, and our grocery shopping becomes more extensive. It’s still not quite what you do at home — we’re not picking up 10 pound bags of flour and stocking a full spice pantry. But, we supplement whatever the place’s owner leaves us with a decent amount of local groceries, kind of getting the full local experience. Bonus points whenever we find farmers markets. We like to mix it up, since you obviously want to try some of the more interesting local restaurants. The easiest way to do this is grocery shop more in the beginning and go out more at the end as you start running out of groceries. This is obviously better than throwing out a bunch of steaks or whatever the next time you move on. But, whether we’re somewhere a day or 3 months, we’re always looking for interesting experiences. 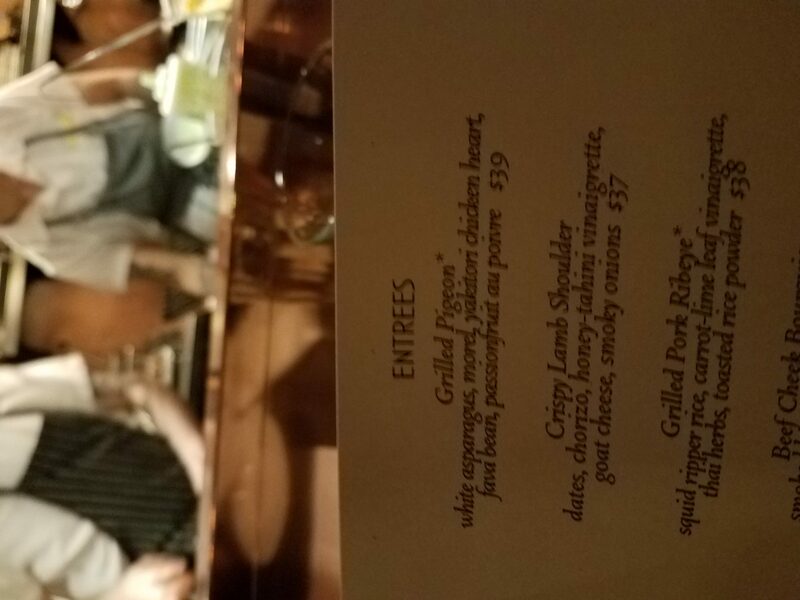 For instance, check out this menu from a restaurant in Portland, Oregon. Yes, you’re reading that right. It’s pigeon. 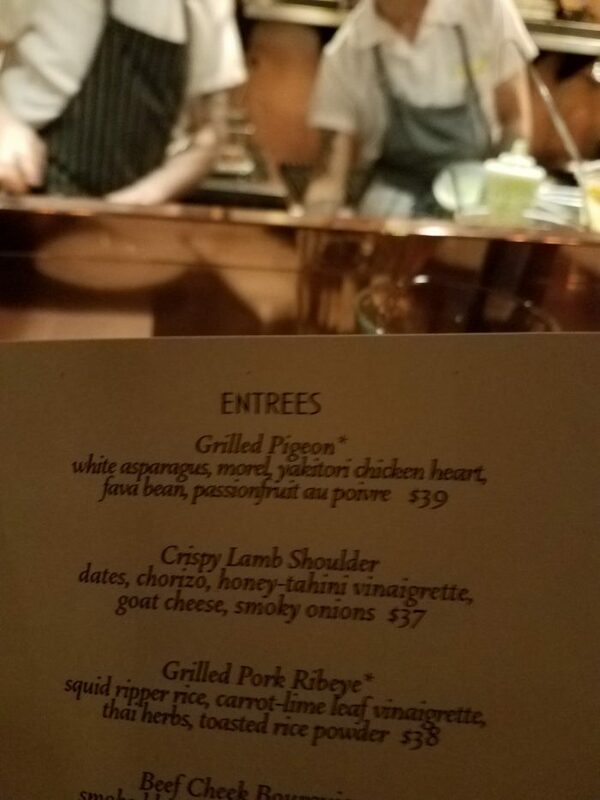 And you’d better believe I ordered and ate the pigeon. Why go everywhere, if you’re not going to experience everywhere? I stumbled on this Youtube channel recently, called SciShow. It’s sort of like the love-child of Buzzfeed and the Science channel, and it’s pretty binge-able. Here’s something I use all the time and totally take for granted. But it’s totally indispensable. I’m talking about the Windows snipping tool. If you use Windows machines at all and have never heard of this, get familiar immediately. Here’s another one of my CodeIt.Right Rules, Explained series. For the Gurock blog, I wrote a post about sins of unit testing. In a subject to which I’ve been a party numerous times, I wrote for ASPE about how to get buy-in for an agile transformation. And, finally, for NDepend, I proved once and for all that the dark theme is the superior Visual Studio theme. And, as always, have a good weekend! Thanks for the recommendation. In looking at the pricing page, I’m a bit confused. Which one is the thing you’re recommending?